Pokémon GO is all that people are talking about these days. 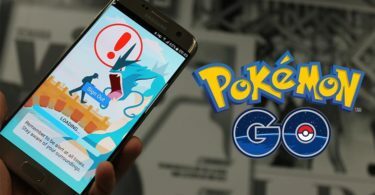 This augmented reality and role-playing game developed by Niantic Labs has been, and it still is, on the receiving end of an overwhelming response from players across the globe. Even people were talking about this game even before it was first released. One of the major reasons for such immense popularity and acceptance of this game is the fact that it lets you roam in the real world. 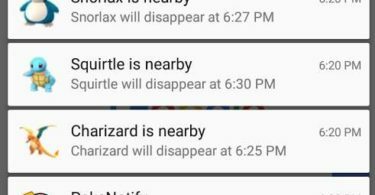 Pokémon GO is an augmented reality game. This basically means that real life places and structures are turned into exciting things relevant to the game. And these games compel you to get out of your couch and participate in real life. But if you think that Pokémon GO is the only game that allows you to this, you could not be more wrong. There are other equally exciting games that you might give a try. 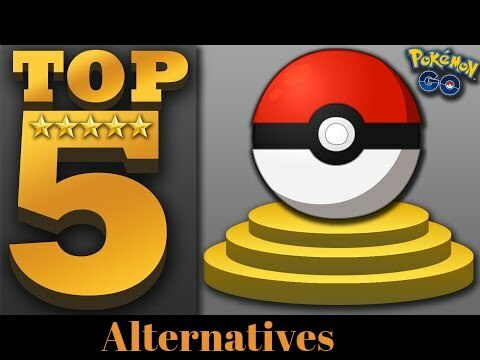 Here is a list of top 5 games that are similar to Pokémon GO. Niantic Labs are the developers of this game as well. And it is their first augmented reality game as well. Those of you who find the gameplay of Pokémon GO to be too simple and kiddish, this game is the one for you. This game is slightly more complicated than Pokémon GO and is a bit more exciting too. This game is far deeper in its storyline than the newly launched AR game. The world that you see in Ingress is full of mystery and adventures. The whole population is divided into two opposing forces. These forces are The Enlightened and The Resistance. A player gets to choose which team he wants to join. After that, it is a game that requires you to go outside and roam around and conquer tests and quests. Quite similar to Pokémon GO, this game also turns the ordinary structures into mysterious artifacts. The story of Ingress evolves as you play the game. There are thousands of quests and mysteries to solve. This game is exactly as is evident by the title. This augmented reality game lets you see zombies around you. You see the zombies using the camera, just like Pokémon GO. When they locate you, they attempt to attack you. And no you don’t have to run away. You can do that, but that is not what the game is about. See, the role that you play in this AR game has virtual weapons. Your aim is to kill them all. Walk around the neighborhood and be the Zombie Slayer that you wanted to be. This game comes for 99 cents. If you have ever wanted to be a ghost hunter, this app is just the right one for you. Any fan of the Ghostbusters franchise will immediately fall in love with this game. This game works in similar ways to Pokémon GO. You need to walk around with your the game on. You must be connected to the GPS for this is an augmented reality game. 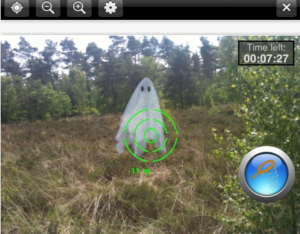 You will be able to locate and see ghosts in the backdrop of the world as you see it using your phone’s camera. The AR mode works in such a way that it shows you the map when it is held in a parallel to the ground. But when you lift it, and it is somewhat perpendicular, it turns the camera on. You will be able to see the ghosts that are lurking around your location on the screen. It is a fun game. The aim is to catch as many ghosts as you can to become a better player. This game is for all those fitness enthusiasts who just want motivation to walk. 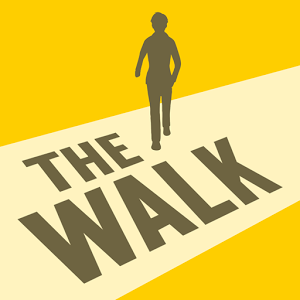 This game-like app focuses on the fact that you walk. And to make it more interesting, it comes up with a great storyline and plot. The user is asked to cover around 800 kilometers to play this game. It takes around three months to complete the game for a player. The role that you assume is asked to go to a specific destination. Your job is to deliver a special package there to save the world. And while you walk to arrive at that destination, audio stories and clips are unlocked. The Walk makes you the hero who has the responsibility and the ability to save the world from the doom. And all you need to is walk to do that! Now is that not cool? It definitely makes your jogging routine a little more fun and exciting than it used to be. 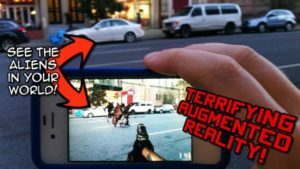 Zombies Run is another free augmented reality game like Pokémon GO. 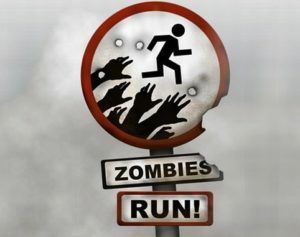 This is quite same to Zombies Everywhere. While you had the option of killing the zombies in that game, you get to run away from them here. More real, is it not? There are many situations in the game that you will face. Some of those situations include getting surrounded by zombies. And I am sure watching all those Zombie movies has taught you that the best thing to do in such cases is running for your life. And that’s exactly what you are supposed to. You do not really have to run like a frantic, you can jog, power walk, run. Most of all, you can even play this while you are on the treadmill. Every day you face new quests. As you complete those, you unlock a new one for the next one. What an innovative way of making your dull workout routine exciting! So these are the five augmented reality games that you should definitely try out. And first of all, just so that you know, most of these games I have listed are much older than Pokémon GO. As a result, you can actually boast that you are playing games that used the AR tech much before Pokémon GO. So, pick the one you like. And install it. After all, Pokémon GO is not the only cool thing out there. You just need to look for it.